A high net worth individual is usually defined as anyone with liquid assets of one million dollars or more. 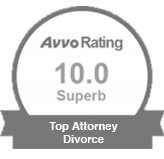 If you fall into this category, you need to understand exactly what’s at stake in your divorce and the issues you’ll need to address before you file. This is why you need an experienced high net worth divorce lawyer on your side. Here is a look at some of the most unique issues to remember if you’re involved in a high net worth divorce. In a normal divorce, child support is calculated by considering each parent’s income and the needs of the child. In a high net worth divorce, however, the court may order a higher child support amount. 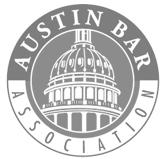 In Texas, the law sets forth guidelines for calculating child support for those with with net monthly resources (gross income less taxes) up to $8,550/month. So, for example, if your net monthly income is $8,550.00 per month or less and have one child, you can expect your support obligation to be 20% of your net monthly resources. If your net monthly income is greater than $8,550, then the court can base your support obligation on the “proven needs of the child” and the income of both parties. Determining a child’s “proven needs” can be an expansive inquiry that includes everything from basic living expenses to extra curricular activities, and even anticipated needs like college preparatory courses, purchasing a vehicle, vacations, etc. As you might imagine, the elasticity of this formula can incentive the parent seeking child support to “pile on” and exaggerate a child’s needs in order to receive more support. To schedule a consultation with an experienced high net worth divorce lawyer, please fill out the form below. When it comes to spousal maintenance, the law imposes bright line limits on the amount and duration of spousal maintenance. To be eligible for spousal maintenance, you must have been married at least ten years (unless the spouse seeking support is disabled or caring for a disabled child or the spouse from who support is sought has been convicted of family violence). You must also prove to the court that upon divorce you will lack the resources to provide for your “minimum reasonable needs,” which the Family Code does not define. The maximum amount of maintenance allowed under the law is 20% of the paying spouse’s average monthly gross income or $5,000, whichever is less. In other words, the most a Court can award in maintenance is $5,000.00/month. The maximum duration of maintenance—how long the spouse paying maintenance can be ordered to pay—depends on the length of the marriage. For marriages between 10 and 19 years, the maximum duration is 5 years; 7 years for marriages of at least 20 years but not more than 30 years; and 10 years for marriages of 30 years or more. Do not assume the Court will order the maximum! When a lot of money is at stake, it’s not uncommon for one or both spouses to be tempted to hide assets from the other spouse. This often does not end well, so don’t try to do this to your spouse. If you suspect your spouse is hiding assets by moving money into someone else’s account, delaying a promotion or bonus until after the divorce, or any other sneaky tactic, talk to your divorce attorney right away. Often, high net worth divorce lawyers will refer you to a forensic accountant to investigate and track the financial movements and holdings of you and your spouse. This is not the time to make decisions “just to get it over with.” In a high net worth divorce, there is simply too much on the line to hurry the process along. Divorce is emotionally challenging, but don’t let that push you to make hasty decisions. It helps if you consider your high net worth divorce as the dissolution of a business. This removes emotions and puts the focus on ensuring you’re financially protected. In every divorce, it’s important to consider how the results of the divorce case will affect your future. In a high net worth divorce, however, this is even more critical. You have physical property and liquid assets that need to be protected and fairly divided, but think beyond those. Think about future tax consequences, the impact of child support, the cost of housing and maintaining your lifestyle, and more. 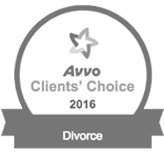 A high net worth divorce lawyer will help you keep a long-term view on the decisions being made. You’ll need to fill out a financial affidavit that takes inventory of your assets and liabilities. In a high net worth divorce, this will often take a considerable amount of time and will be a rather tedious task. However, it’s crucial you devote the time needed to be thorough and complete. Otherwise, you may end up keeping liabilities your spouse should be responsible for, or giving up assets that should have stayed with you. With so much on the line, you can’t just take your spouse at his or her word. Make sure your high net worth divorce lawyer takes the time to fully investigate your spouse. As mentioned previously, some spouses will hide assets. Your divorce lawyer should be skilled and experienced in discovering if this has happened. In all divorces, friends give advice. When the stakes are even higher, friends come out of the woodwork to instruct you on how to get (or keep) your valuable assets, sometimes based on what they “heard” from someone else or what happened in their own divorce. Such advice, while well meaning, is generally worthless and serves only to exacerbate the stress and anxiety that accompanies divorce. Your friends don’t understand all the details of your exact situation. They also are not divorce lawyers who regularly deal with the nuances of high net worth divorces. It’s fine to lean on friends for emotional support, but do not go to them for financial and legal advice. Hire a diligent lawyer who you can trust to get you what you deserve. Ben Carrasco is an experienced high net worth divorce lawyer who takes the time to fully understand each case. You can trust he will work for your best interest. Give Ben a call today at (512) 320-9126, or contact him online.